Enjoy the Playlist of each Daily Recap! Hey everyone! The time has come for me to step up, and challenge myself. This is something I’ve been thinking about doing for a long time, but I had to prepare myself emotionally and psychically (okay just emotionally). Starting January first I will be trading with a TINY account. I’m starting the year with $583.15 in a Suretrader account, and I plan to spend 2017 growing this account to $100k. I want to prove that success as a Day Trader is not about having a lot of money, but instead, the proper mindset, training, and strategies. Many people will ask how I plan to day trade below the $25k Pattern Day Trader min. I opened an account with Suretrader (read more about Suretrader here) because since they are located in the Nassau, Bahamas, they are not required to enforce the PDT rules. 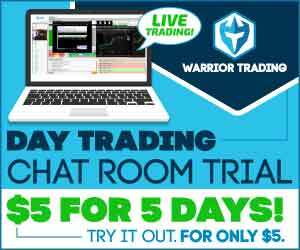 Suretrader has a $500min deposit and offers 6x leverage on most stocks above $3.00. This means on Day 1, with $583.15 in my account, I’ll have approximately $3,498.90 in total buying power ($583.15 x 6 = $3,498.90). The first month will be the hardest part of the challenge, and the first few days will be the hardest part of the first month. If I lose money in the first two days, I will have to deposit more money into the account to be able to continue trading. If I make money in the first few days, my balance will grow, and since by buying power grows x6 it will substantially increase my ability to generate larger profits. I will be doing a mid-day recap on every day of the challenge. These mid-day recaps will be live streaming on Facebook Live, then uploaded to our iTunes Podcast, and to our YouTube Channel. Below is a playlist where you can catch up on my progress! I will also be writing Blog Posts on a daily basis to track my journey from $583.15 to $100k. I’ll need your support and encouragement. There will be some big green days, but there will also be big red days. Since I’m doing this challenge in a very public way, it will that much more mentally challenging to rebound from losses. By making the goal of turning $583.15 into $100k, I’m putting a lot of pressure on myself to succeed. I hope that I am able to achieve my goals, but regardless of where the journey ends, you will be along for the ride! I’d love your comments, thumbs up, and social shares! At the end of each month I will be importing my trading history to TraderVue and posting a summary of my trading statistics. There will be some who won’t believe this challenge is possible and will claim it’s a lie. I can tell you that the strategy is real, the trades are real, and the gains are real. This strategy is being actively traded by thousands of our students including John, Ed and Roberto. Because I believe in transparency, I will uploading my Broker Statements at the end of each month. I don’t know of a single other trader who has accomplished the challenge of turning $500 +/- into $100k, and I don’t want there to be a single doubt about the validity of my gains. I also want to remind the skeptics that although trading is hard, success is not impossible. I’m a trader who lost money for 18 months before I found any success at all. It takes dedication, discipline, and drive. If you have that, regardless of how you feel about me, I think you have what it takes to be a trader. I’m no different from you, I’m just a trader who is a little further down the road. I can look back at where you might be today, and understand what it takes to get you from A to B. If you want my help, I’d like nothing more than to teach you everything I know about the market. You can learn more in our Day Trading Chat Room or our online Day Trading Courses. My game plan is simple. I will employ the same Day Trading Strategies I used to generate over $222,000.00 profit in 2016 (click here to read more about 2016 earnings). I will trade the best, and leave the rest. When I see an A quality setup, I will take as many shares as I can afford during the first week. That means these trades will either be good sized winners, or good sized losers. If I have a strong market on my side, the first few trades will be winners and I’ll be able to start building my cushion. If the market is weak, I may not trade at all. 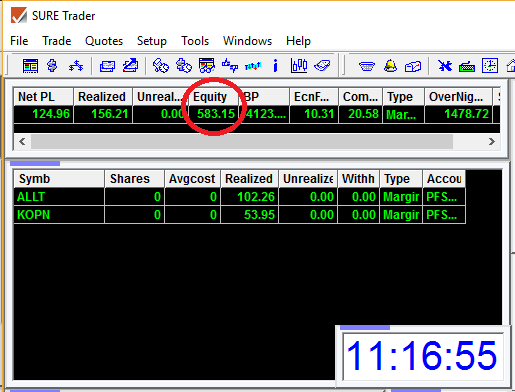 I will likely limit myself to not more than 5 trades per day, but will focus on 2-3 trades in the first 30minutes. I will need to capitalize on the opportunities during the opening range. This is when stocks are the most volatile, which is when I can generate the largest profits. I will have a max daily loss of -$100, and a daily profit target of +$200. In each trade I take, I will risk $100 to make $200, which means 1 trade will either put me out for the day, or give me my daily goal. I think as soon as I reach $5k in total equity, I’ll be home free. After all, that will give me $30,000 in total buying power ($5,000 x 6 = $30,000), which means I could take 10k shares of a $3.00 stock. I will have to remind myself that although this is a challenge, and I want to hit $100k as quickly as I can, a momentary lack of focus could result in a big loss, and a big setback. And of course, it will be very public which will make it even more embarrassing. I need to get into my groove, set my pace, then grind day after day. If I have to grind on small wins for a few weeks to build up my account, that’s what I’ll do. If I do take a loss, I’ll get back on the horse and start rebuilding, one green trade at a time. 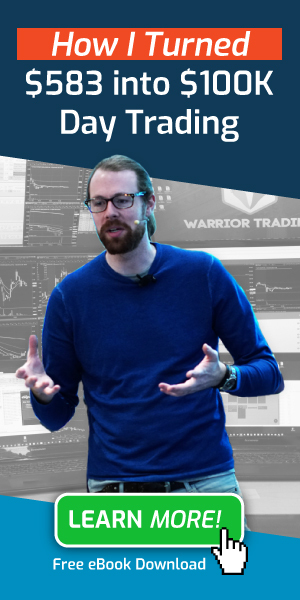 I will not be utilizing the special commission structure our Warrior Pro students get with Suretrader. I will pay the full price, of $4.95 per trade plus ECN fees. The hardest part is the first few weeks and I don’t want any extra help from a discounted commission structure. As of Feburary, 2017, Suretrader changed their commission to .01 per share, with no additional ECN fees. Although this will represent an increase in commissions for most traders, I still firmly believe a trader implementing a strong momentum trading strategy can build a small account. Commissions slow down the growing process, but they don’t stop growth. I look at commissions as simply the cost of doing business. It’s like being a truck driver and paying tolls when you cross a bridge. It’s just part of being a trader. On Day 1 I took only 2 trades. I bought using my hotkey to buy 95% of my buying power. On my first trade I bought 1079 shares of KOPN and made only 5 cents. I paid commission of $4.95 to buy, $4.95 to sell, plus $6.71 in ECN fees, for a total of $16.61. I made a total profit of just $37.34. On my second trade bought 639 shares of ALLT and made about 16 cents per share for a total profit of $102.26 before commissions. Commissions on that trade we $4.95 to buy and $4.95 to sell, plus $4.00 in ECN fees, for a total of $13.90. I made a total profit of $88.36 after commissions. These two trades gave me $124.96 in profit, which was a nice 21% gain. Over the course of the next week, I continued to build up my account with small gains. I didn’t have a big winner until Day 8, when I made just under $1,800.